Suzuki Recursion concept heading for production? A JAPANESE bike mag has released what appears to be a production version rendering of the Suzuki Recursion concept. The render of the 588cc turbocharged parallel-twin concept, first revealed at the 2013 Tokyo Motor show, is on the front cover of the latest issue of ‘Young Machine’ (YM) magazine. It features a number of similarities to the turbo concept, including a belly pan exhaust, two-cylinder engine and half-fairing setup. Oddly, however, the front end looks curiously similar to Suzuki’s own 1100cc six-cylinder Stratosphere concept released in 2005. 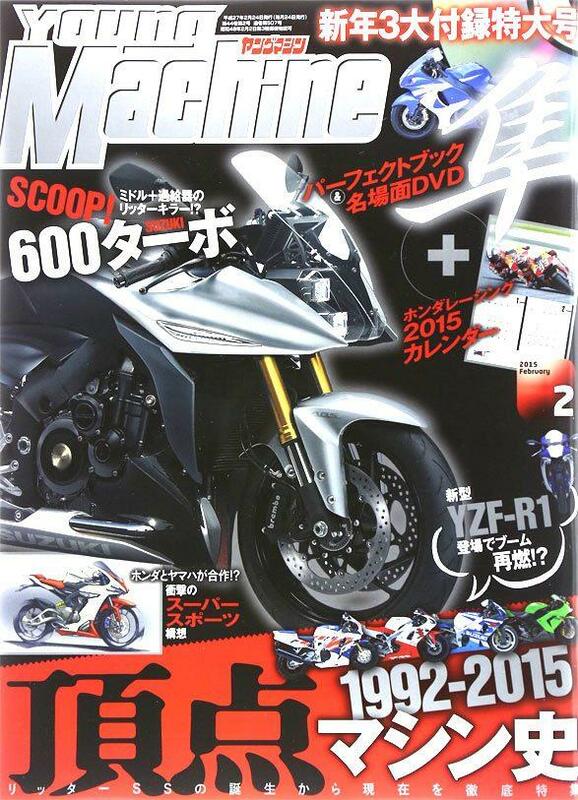 The last time YM had a render appear on its front cover was when it released an image of the Yamaha R25 several months before its official launch. It was about as accurate as a computer-generated picture could be and looked identical to what was eventually released by Yamaha. The Recursion is said to make 100hp at 8,000rpm with peak torque of 74ft.lb at 4,500rpm, overcoming the poor mid-range associated with early turbo systems. It weighs 174kg and offers 50% better fuel economy than a sports 600, according to Suzuki. Will a new Suzuki Hayabusa look like this?